Last year it was announced the Priestly Fraternity of Saint Peter was given permission by the Diocese of Manchester, New Hampshire, to establish the first personal parish in New England in the United States, offering the traditional Latin Mass and sacraments in Nashua, New Hampshire. Rorate visited that parish -- Saint Stanislaus -- last month, and the growth is quite impressive. This month the Institute of Christ the King announced it has been invited into the Diocese of Bridgeport, Connecticut, to start an oratory at Saints Cyril and Methodius parish. 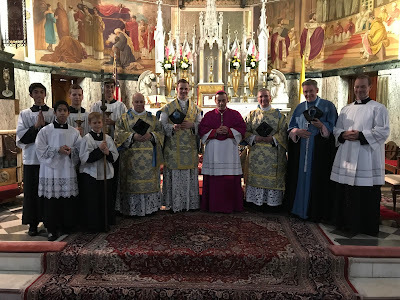 At the invitation of His Excellency, the Most Reverend Frank J. Caggiano, Bishop of Bridgeport, Connecticut, a new Oratory of the Institute of Christ the King Sovereign Priest has been established at Sts. Cyril and Methodius Parish in Bridgeport on the Feast of the Holy Rosary, October 7, 2017. The retiring Pastor, the beloved Monsignor Joseph Pekar, has served the Parish faithfully as Pastor since 1971. 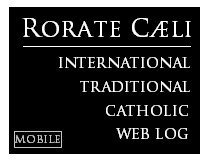 The pastoral care and administration of the Parish has now entrusted to the Institute clergy, who will continue the celebration of the traditional Roman Liturgy of 1962 according to the long-standing tradition of this Parish. The new Oratory Rector appointed by Bishop Caggiano to serve at Sts. Cyril and Methodius Parish is Canon Andrew Todd. 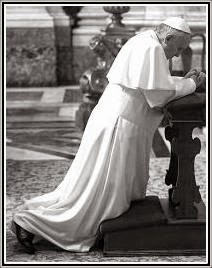 He will be assisted for the first year by an Institute seminarian, Abbe Bryan Silvey. The first Mass of this new Oratory was celebrated on Sunday, October 8, at 10:15am. His Excellency, Bishop Caggiano presided the ceremonial rite of installation for the new Rector and preached the homily. The Diocesan Vicar General, Monsignor Thomas Powers, and the Vicar for Clergy, Father Joseph Marcello, and Father Cyprian LaPastina, Pastor of St. Mary’s in Greenwich, were all present for the occasion. The Institute’s Vicar General, Monsignor Michael Schmitz, attended and publicly expressed gratitude to Bishop Caggiano for the invitation to serve in Bridgeport. The Provincial Superior for the American Province, Canon Matthew Talarico, as well as Canon Brian Bovee and Abbe Francis Bennell from the Institute’s Oratory of St. Anthony of Padua in West Orange, New Jersey, came to participate in the celebration.